L.A. Mayor Eric Garcetti. 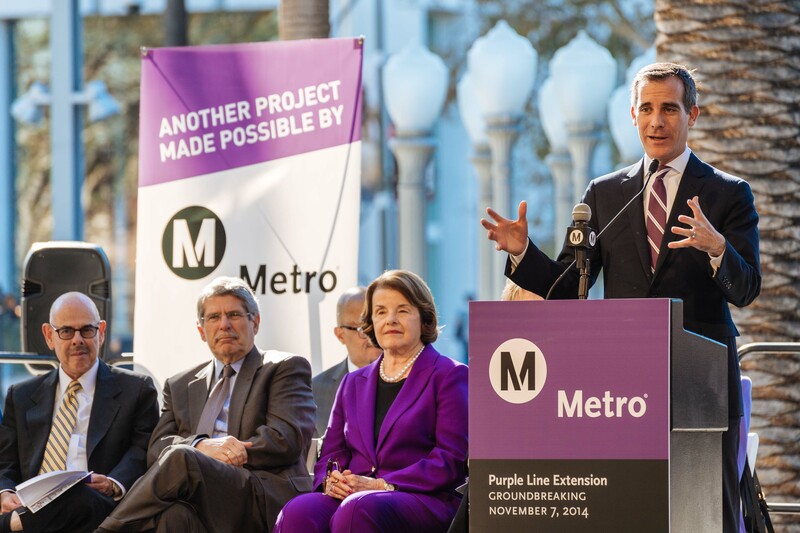 At left, Supervisor Zev Yaroslavsky and Sen. Dianne Feinstein. Photo by Steve Hymon/Metro.